Located behind Seven Sister's Island's on the St. Johns River with great fishing, breath taking sunsets, and access to the ocean. 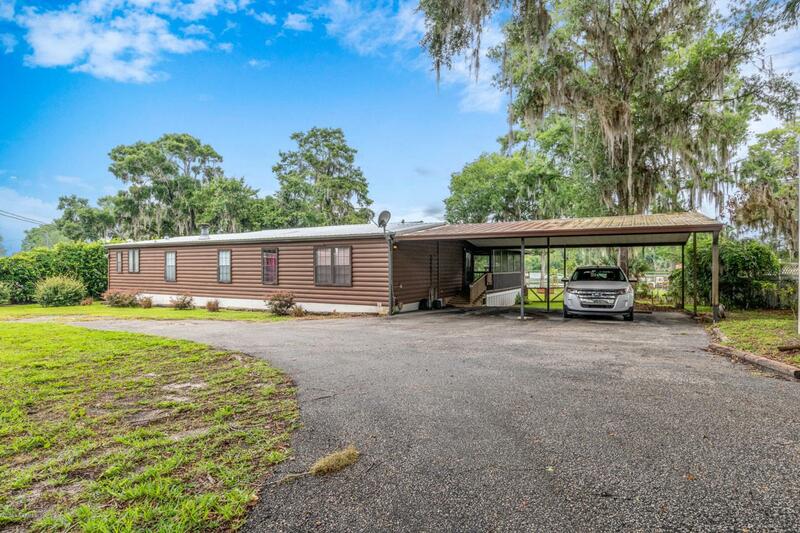 This 3BR/2BA triple wide Jacobsen mobile home has what your looking inside and out. Circular driveway, covered RV parking with 30amp power, outbuildings, attached 2 car covered carport, and nice back porch. Inside the home offers, split floor plan, large family room with fireplace, spacious kitchen with eat in nook and a glassed Florida room overlooking the river. The dock has a nice sitting area, good water depth, covered slip with lift. There are many great features so make your appointment to preview this home today!